Here are some of the questions which you must know if you are good at object oriented programming in ABAP. 2. 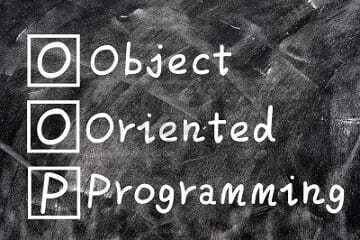 What is difference between procedural & OO Programming? 5. Can we instantiate a class within implementation of other class? 6. What is deferred key word ? 7. How we can refer to a class without defining it? 9. What is static attribute & method? 10. How to create a global class ? 13. Can we changed pass by reference in any method ? 16. can static method use instance attribute ? 17. Can a method call itself? 18. What is me variable? 19. What is constructor ?What are type of constructor ?When it is called ? 20. Can we have export parameter in Instance constructor? 21. Can instance constructor raise exception ? 22. When static constructor is called? 23. Can we have interface for static class or constructor? 24. What is abstract class ? 25. Can we implement abstract method in abstract class ? if not then where it can be implemented? 26. What is final class & Method ? 27. Can subclass call super class constructor? 28. Can we call static constructor more than once in a program? 29. What is method redefinition? 30. What is interface ? 31. Can we implement interface in private section of any class ? 32. Is it mandatory to implement all the methods of interface ? 33. What is alias ? Instead of specifying full name of interface methods we can assign it a name which can directly trigger. 35. What is event handler method ? 36. Can we have more than one event handler method for same event ? 37. Can event have import parameter ? 38. How you handled exception during programming? 39. What is cleanup section ? 40. What is BADI?What is BADI? 41. What is check box for multiple use in BADI? 42. How to search a BADI ? 43. What is Value table and Check table, Difference between them? 44. What are secondary index’s? 45. What is the draw back of secondary index’s? 46. What are conversion routines? 47. At which level are they mantained? 48. what are Predeifined data types? 49. Which predefined data type uses conversion routines? 50. What are logical units of work? 53. Which is more efficient for all entries or joins? 54. When is implicit commit triggered. 56. How do u create a destination system? 57. What are different types of commits used? 58. What are search helps? 60. Difference between pool tables and cluster tables? 61. What is a delivery class? 62. What are the types of delivery class? 63. Difference between System tables and control tables? 66. What is persistant class? Here is a central location to the PDF on all the ABAP interview questions.